It's that time of year when lots of fun things are coming up — Mother's Day, Father's Day, Teacher Appreciation days, not to mention birthdays and baby showers too. And all of these fun events may wind up in need of wrapping paper. 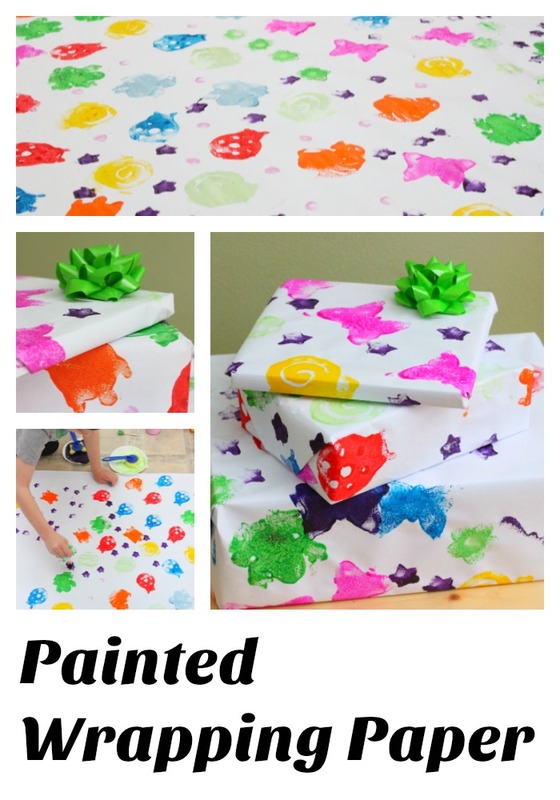 Making our own wrapping paper is a great way to add a little more sentiment to a gift. 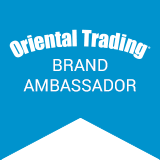 Using Oriental Trading Company's craft selection can inspire a wide range of projects, so we were excited to team up with them again. 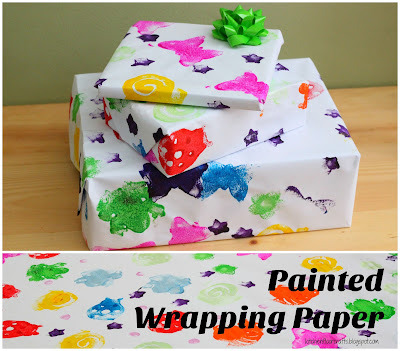 This time we were definitely inspired by their bright paints and fun paint stampers to make wrapping paper. 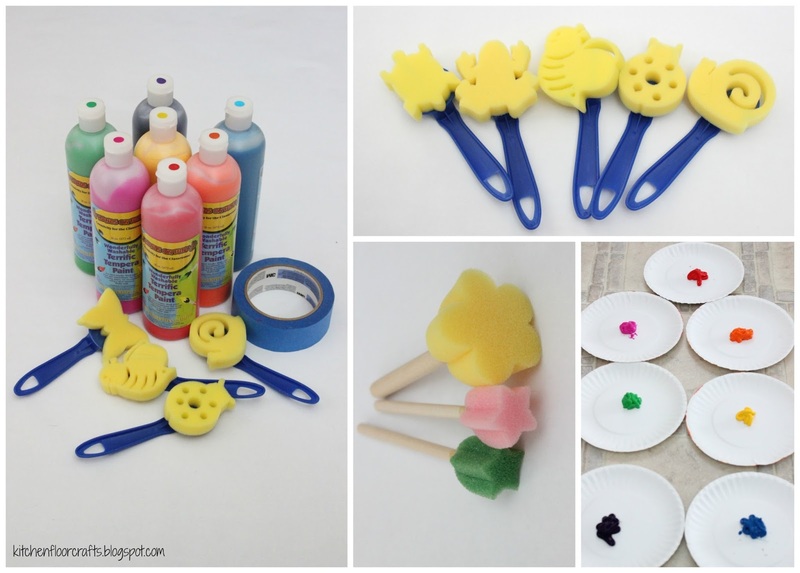 I found almost all of the materials below on the Oriental Trading Company's craft website. I rolled the white paper onto the kitchen floor and used the painter's tape to tape it to the floor. The paper we used took quite a bit of the floor space, but that made creating even more fun as there was lots of space to fill. It could also be spread out onto a large table and gently taped onto the surface. Using painter's tape means that the paper and the tape can gently be removed without taking off other surfaces. I put the paint out onto small paper plates. We started with the bright colors, but later added in pearlescent colors too. 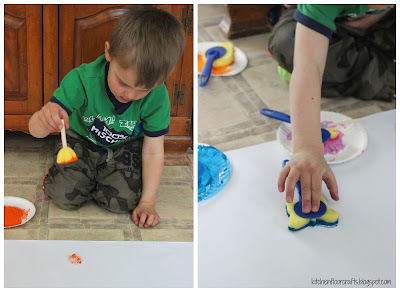 We dipped the sponge brushes into the paint and gently coated the whole sponge with paint. We dabbed it a few times on times on the plate to remove any excess paint and then pressed the shape onto the paper. What's great about these sponge paintbrushes is the handles - easy to use and not quite as messy either. Together we worked to fill the whole paper. 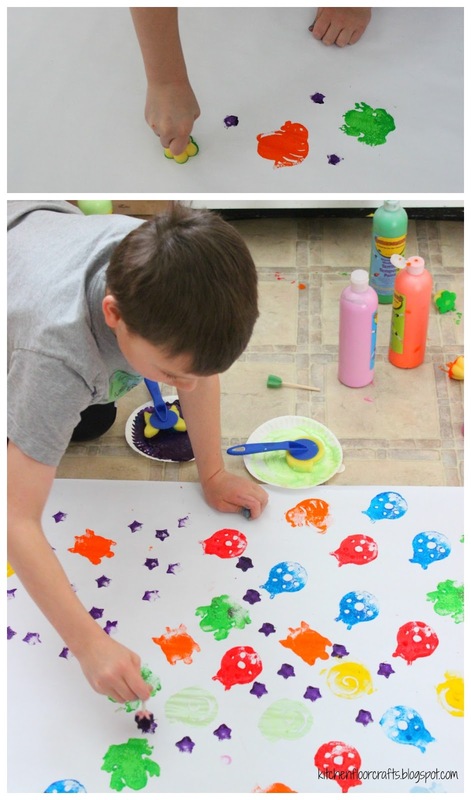 We mixed different colors and shapes, and didn't try and create any kind of official pattern. We used the smaller stamps to fill in the larger spaces. We had to leave the paper to dry for several hours - which was a little tricky as it was in the middle of the kitchen floor. But once it was dry, we cut it up into several smaller pieces. 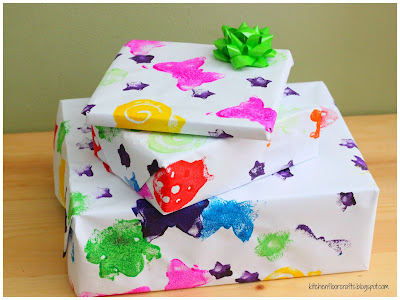 We'll have several pieces to wrap gifts all spring - and we've already used some! 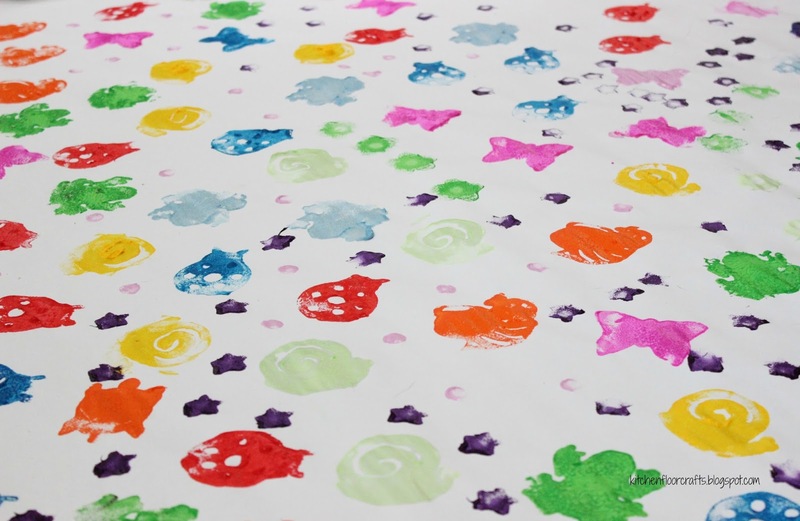 We love how colorful and fun the paper turned out to be! We can't wait to continue to surprise friends and family with this colorful touch to our gifts!